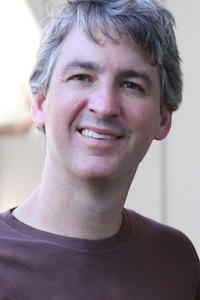 Andrew S. Gordon is a Research Associate Professor of Computer Science and Director of Interactive Narrative Research at the Institute for Creative Technologies at the University of Southern California. His research advances technologies for automatically analyzing and generating narrative interpretations of experiences. A central aim of his research is the large-scale formalization of commonsense knowledge, and reasoning with these formalizations using logical abduction. He is the author of the 2004 book "Strategy Representation: An Analysis of Planning Knowledge," and the 2017 book "A Formal Theory of Commonsense Psychology: How People Think People Think" (with Jerry R. Hobbs). He received his Ph.D. in 1999 from Northwestern University. Shree, J., Liu, E., Gordon, A., and Hobbs, J. (2019) Deep Natural Language Understanding of News Text. NAACL-2019 Workshop on Narrative Understanding, June 7, 2019, Minneapolis, MN. Hopp, F., Fisher, J., Mangus, J. M., Huskey, R., Swanson, R., Gordon, A., Khooshabeh, P., and Weber, R. (2017) Examining Online News Reporting Using the Global Database of Events, Language, and Tone: Challenges, Opportunities, and Future Directions. 103rd Annual Convention of the National Communication Association, November 16-19, 2017, Dallas, TX. Amir, O., Huskey, R., Mangus, J.M., Swanson, R., Gordon, A., Khooshabeh, P., Weber, R. Media and the moral mind: Binding and individualizing moral intuitions elicit distinct cortical activation. 67th Annual meeting of the International Communications Association (ICA-2017), May 25-29, 2017, San Diego, California. Weber, R., Mangus, J.M., Huskey, R., Amir, O., Swanson, R., Gordon, A., Khooshabeh, P., Hahn, L., & Tamborini, R. Extracting moral foundations from text narratives: Relevance, challenges, and solutions. 67th Annual meeting of the International Communications Association (ICA-2017), May 25-29, 2017, San Diego, California. Amir, O., Huskey, R., Mangus, J., Swanson, R., Gordon, A., Khooshabeh, P., and Weber, R. (2017) Trump versus Clinton: The Role of Moral Intuition Networks in Processing Political Attack Advertisements (Poster). 10th Annual Meeting of the Social & Affective Neuroscience Society (SANS-2017), March 16-18, 2017, Los Angeles, CA. Amir, O., Huskey, R., Mangus, J., Swanson, R., Gordon, A., Khooshabeh, P., and Weber, R. (2017) Moral Intuitions Elicit Dissociable Cortical Activation (Poster). 10th Annual Meeting of the Social & Affective Neuroscience Society (SANS-2017), March 16-18, 2017, Los Angeles, CA.